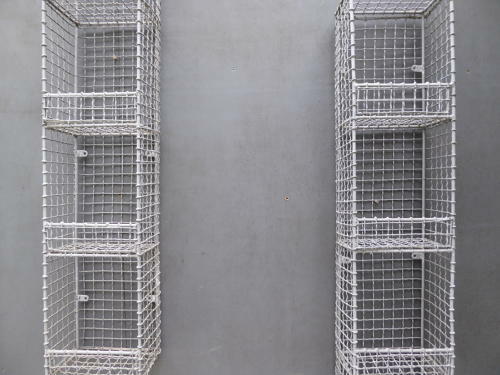 A wonderful pair of vintage galvanized wire pigeon holes. A fantastic pair of heavy duty wire pigeon holes, wall mountable & with a good usable configuration & fantastic age related colour. Very good, clean examples, charming, rustic & fuctional. Wear commensurate with age, very good untouched condition, all wall mounting brackets intact.